Q: I'm looking to buy an entry-level diesel sedan for around Rs 10 lakh, on-road. My priorities are ride quality, cost of ownership and resale value. Which would be a better choice - the Etios VD or the Sunny XV? Is there a possibility of generation change in either of these cars in the near future that might affect the resale value of the current-version car? A: If you want a good entry-level sedan, we'd suggest looking beyond the Etios and the Sunny. Instead, consider stretching your budget a little and think of cars like the Honda City, the Maruti Suzuki Ciaz and the Volkswagen Vento. 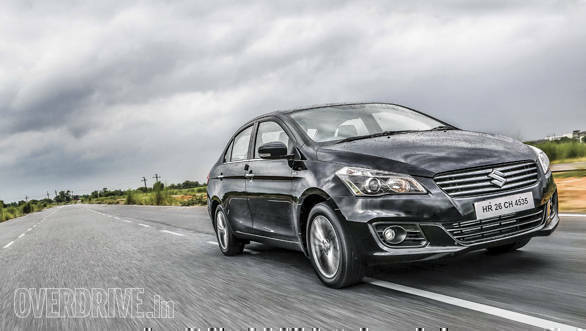 Of these cars, the Ciaz is one of the nicest to own thanks to good dynamics, ride quality and powertrains. The lower-spec variants in your budget also offer ABS and airbags as standard. There's also Maruti's renowned service network and reasonable ownership costs. Q: I am planning to buy a motorcycle under Rs 1.5 lakh. My priorities are a refined and reliable engine, 35+kmpl and decent performance. I also need to know on which of these bikes I can hold 100kmph or more for a long time smoothly and comfortably. My shortlisted vehicles are the TVS Apache RTR 200, Bajaj Pulsar RS200, Yamaha FZ25 and Royal Enfield Thunderbird 350. Is there any other bike you'd recommend? A: One of the best options for your priorities could be the FZ25. We say 'could' because we haven't tested the motorcycle as yet. The next best option would be the RTR 200 because it is a stable and dynamic motorcycle if you're looking to cruise on the highway. The Thunderbird 350 is a whole other category and a very different riding experience. It doesn't really compare to the RTR 200 or the FZ25. Q: I want to buy an automatic transmission hatchback for my daughter. My criteria are low maintenance and a price of around Rs 7 lakh. 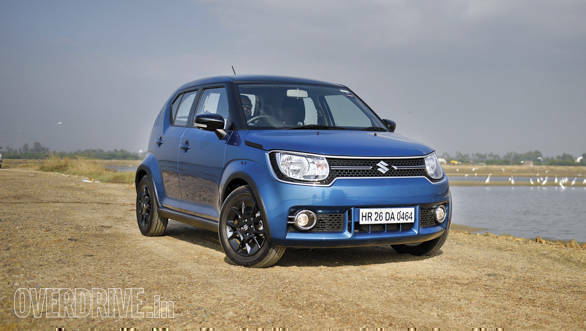 Please suggest between the Maruti Suzuki Ignis, Hyundai Grand i10, Renault Kwid and the Tata Tiago. A: Apart from the Ignis and the Grand i10, the other two cars are in different segments. The Ignis and the Grand i10 offer automatic options that start well within your budget. However, only the Ignis offers an AMT with both petrol and diesel engines, while the Grand i10 gets only a petrol automatic option. The Ignis is good buy because its AMT works well, especially in the city. It's also an enjoyable car to drive, and the excellent visibility from the driver's seat only makes it that much better. Additionally, the diesel engine is thoroughly efficient and Maruti's service costs are tough to beat. Q: I've been using an Audi A6 2.0-litre diesel for the past three years. I want to buy a new car in the same segment. I drive the car myself and a majority of the use is within the city and to the airport on a highway. My total commute in the city would be around 900-1,000km per month. Once in three months I make a 600km highway trip. My main need is driving pleasure. I'm not interested in an SUV unless a good vehicle in the similar price range is there. Is it worth waiting for the new BMW 5 Series? I want to try a different brand and the E-Class seems to be expensive. My price range is Rs 50-60 lakh, on-road. A: Yes, it is worth waiting for the new 5 Series, especially since driving pleasure is one of your priorities. However, we'd also suggest you look at the Volvo S90. It's beautifully designed, unique and offers excellent value for money. If you've got a Volvo dealership in your city, you should really consider it. Q: I want to purchase a naked bike and I have shortlisted the Ducati Monster 821 and Triumph Street Triple. My main priority is brand value, after-sales service and quality. 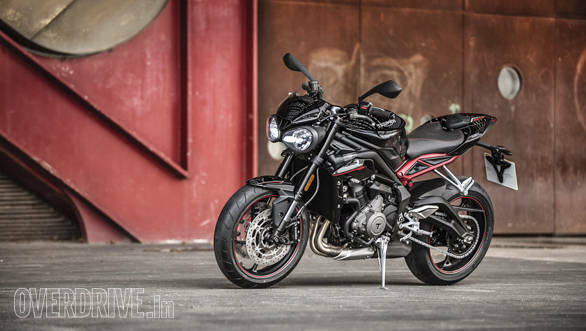 A: Right now is a bad time to buy these two motorcycles because, if you can wait, the more affordable Ducati Monster 797 and the more premium new Street Triple 765 will be launched in India very soon. There is also the new poor-road-friendly Scrambler Desert Sled (see Motorcycle News), which should be in the same price bracket. However, if you're very sure that you only want one of these two bikes, we'd suggest you buy them from the second-hand market. Helpdesk: Stay loyal or go European? Helpdesk: Which 200cc bike to buy?